Final public conference of the Menara and Medreset projects. 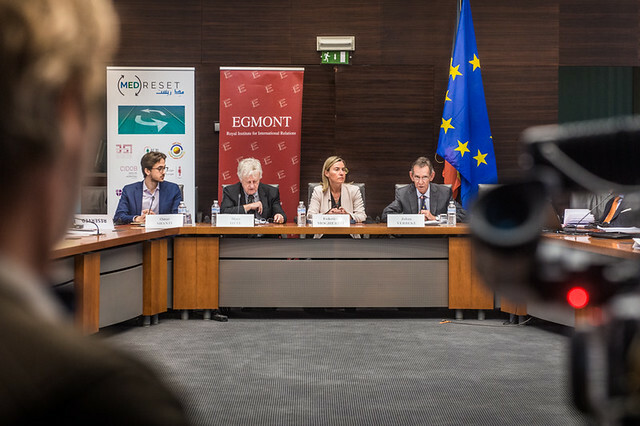 On 6 March, MENARA and MEDRESET, both H2020 collaborative research projects, unveiled their findings during a public conference entitled “The Middle East and the EU: New Realities, New Policies” taking place at Egmont Palace. The event included a key-note speech by the High Representative of the EU for Foreign Affairs and Security Policy and Vice President of the EU Commission Federica Mogherini, introduced by Ambassador Marc Otte. This conference aims at fostering a debate among the Brussels-based expert and policy community on the present and the future of the Middle East and North Africa and in particular on the EU’s role towards this region. The agenda of the meeting also included the presentation of the projects’ main results by MENARA’s Scientific Coordinator, Eduard Soler, and the Project’s Policy Director, Nathalie Tocci, as well as by MEDRESET’s Scientific Coordinator, Daniela Huber. The presentation of the Medreset Young Writers Prize also takes place during the conference.